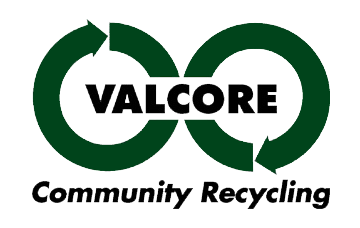 Vallejo Community Organizations Recycling, Inc. (VALCORE) is a coalition of local organizations working together to provide fund-raising opportunities for our Member Groups while providing a recycling service to our community. We are a 501(c)(3) nonprofit organization.The mission of VALCORE Recycling is to promote recycling and resource recovery in our community. This is accomplished through our recycling center and through public education programs. These services are provided to the public through the combined efforts of VALCORE’s nonprofit member groups. Board meetings are held on the 4th Monday of each month at 6:30 pm at 38 Sheridan Street, Vallejo, CA 94590.